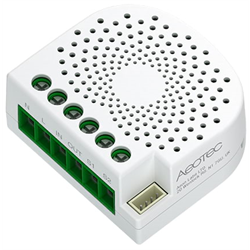 Transform an existing in-wall appliance into a remote-controlled switch while retaining manual control with the ZW140 Aeotec Dual Nano Switch from Aeon Labs. This new improved design is up to 60% smaller and can hold up to two powered loads. As a Gen5 Z-Wave product, it also has improved battery efficiency, an increased wireless range of up to 50% more than previous models and advance security features. These models also have improved noise immunity from other technology which would interfere with communication between devices. The switch installs behind your homes current switches or sockets. 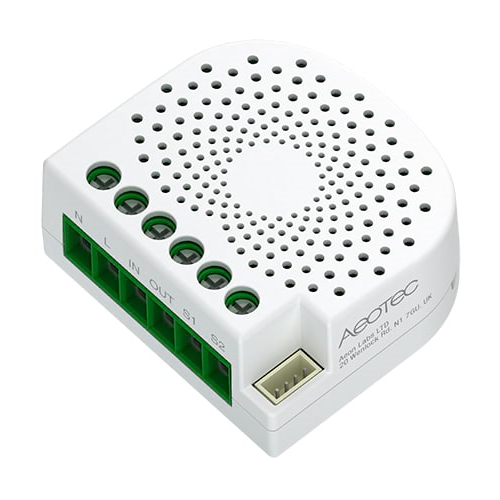 Once connected to the necessary wiring, it can then be linked to a Z-Wave gateway for remote access control.